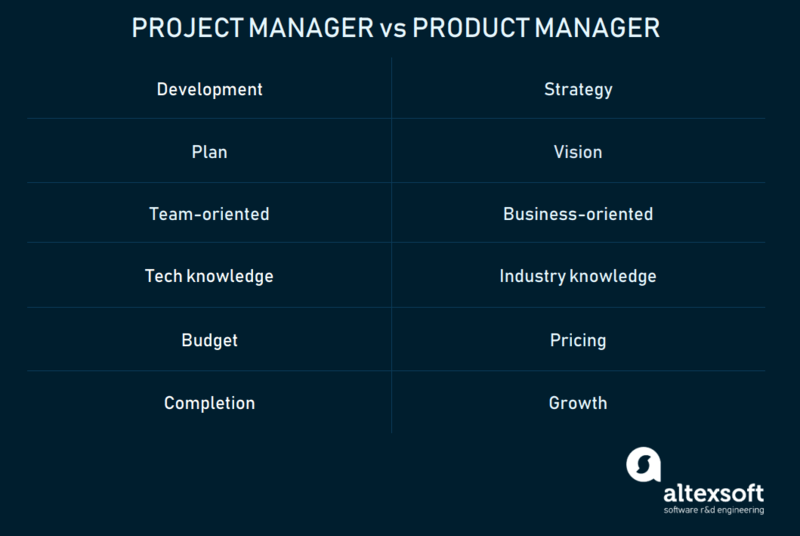 How often do you confuse a project manager with a product manager? To be honest, we’ve done that too. This misconception occurs frequently. And the cases when enterprises sacrifice one role for the other are – perhaps more unfortunately – common too. The Project Management Institute says that only 58 percent of organizations fully understand the value of project management. Such underestimation may partially reflect that not every company clearly separates the roles of each one. To fight the miscommunication and finally clarify the issue, we decided to address the most common questions: What are the areas of responsibilities of both parties? Why it’s a bad practice to combine these roles in one person? Should you ever completely substitute one for the other? Let’s go. First things first, what’s the difference between a project and a product? A Project is a process of creating a product or a service. A Product is a system that solves some customer problems and satisfies market demand. Now, it’s easier to understand what the people behind these words are responsible for. A project manager runs product development. 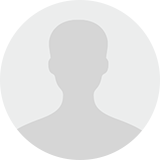 Throughout the entire development stage, this person ensures that the project is in line with budget and time frames. A project manager’s main role is tracking progress and organizing the workflow to provide on-time project completion. A product manager is responsible for market success. Product managers develop the product strategy and engage in product existence and development from ground zero to complete withdrawal out of the market – basically, supporting it during all stages of the product life cycle. Being responsible for strategy development, a product manager communicates with other departments, such as marketing or sales, to transfer to them a complete vision and build a product roadmap. A product manager and a project manager interact with the same product but have different spheres of influence and, thereby, different responsibilities. We’ve represented the relations between different roles on the image below. So, what is the scope of work for each one? Define development milestones. With more and more organizations shifting to Agile project development, an average project is likely to be divided into sprints with frequent iterations. Though having no clear-cut time limits, a classic sprint traditionally lasts from 1 to 4 weeks. To manage and track the progress, project managers choose clearly defined milestones. Estimate time, budget, and risks. After setting up the milestones, a project manager is supposed to evaluate the time and the cost required for this particular stage. Additionally, a project manager is supposed to evaluate the risks regardless of sprint complexity and duration. Usually, such evaluation is based upon their knowledge of team processes and technology. Prepare process documentation. To make their planning more organized, a project manager creates process documentation – a set of standards, reports, metrics, schedules the team should adhere to during development. Allocate roles. On establishing the process milestones along with time and budget limits, a project manager usually distributes the roles among the team and describes them in a document called a project charter. The most important thing here is not to assign tasks for each team member but to clearly outline the sequence of actions. Such an approach improves the overall performance giving the engineering team more confidence in their further steps. Track the progress to ensure on-time delivery. Despite being obvious, this aspect is worth mentioning. For development administration, some project managers adhere to Kanban practice and others implement the Scrum framework. Although there are key differences between these two, which we’ve explained in our infographic on Agile approaches, both have numerous applications and tools to simplify a project manager’s job. Control QA activities. Given the acceptance criteria and user stories as the first truth, a project manager closely interacts with the quality assurance department. While processing the feedback from both QA engineers and test groups after A/B testing, a project manager continuously ensures this data travels between QA and development teams to guarantee the product improvements. Develop a vision. A vision is the product creation’s goal. All product management and promotion activities are based on the vision. A vision describes the products’ future customers, the problem it solves, and it’s usually defined in brainstorming sessions with the product management team and a product marketing manager. Manage user stories, acceptance criteria, and other documentation. One of the main product manager’s responsibilities is to convey all stakeholder requirements to developers. A product manager controls the creation of user stories, product feature descriptions reflecting end-user’s experience, and acceptance criteria, sets of conditions that a feature must match to consider a user story completed. Although user stories are the collaborative effort of managers, developers, stakeholders, and sometimes even users, product managers review the final draft of the Product Requirements Document and ensure that all parties are satisfied with the result. Create a product strategy (roadmap). Strategy is an execution plan describing what a company should do to meet the vision. It’s usually documented in the form of a product roadmap, which takes a lot of complex planning, a diverse team of experts, and a set of mapping tools. We’ve devoted a whole article on developing a roadmap using online solutions, so make sure to check it out. Despite tons of people taking part in crafting a strategic roadmap, a product manager is usually the one guiding the process. Product market research and promotion. 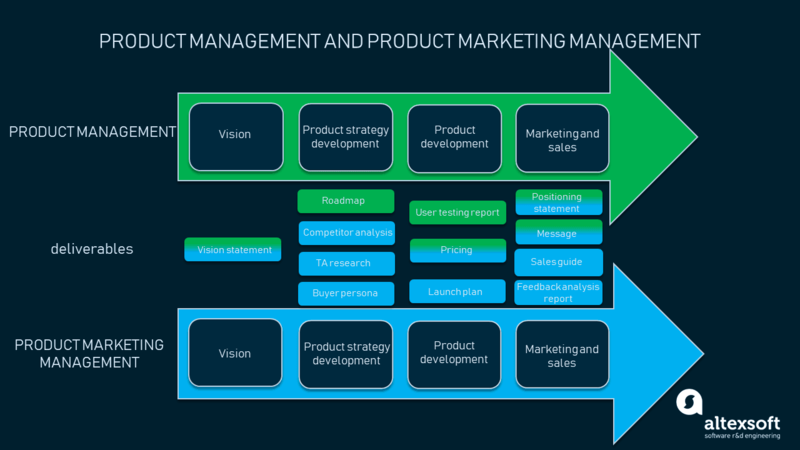 Above the continuous tracking of the development process, a product manager along with a product marketing manager build the product marketing strategy. Together they discover the product-market fit, conduct risk assessment, and even provide user testing tasks, including user interviews. Lead the development of product prototypes. A product manager can advise on whether to launch a full-fledged product or start with early versions, such as Minimum Viable Product or Proof-of-Concept. Control development. A product manager, though not interfering directly in the development process, tracks and regulates the engineering process if needed. To put it simply, a product manager is the stakeholders’ guarantee that functional and nonfunctional requirements are received properly and the product will be delivered on time. In this case, a product manager closely cooperates with a project manager, assuring a consequent data communication. Organize product launch. A product manager along with a product marketing manager is responsible for the product launch. Considering preliminary market research, they provide a comprehensive consultancy to the customer on the most suitable market segment, the most appropriate time, the optimum bootstrapping technique – all supporting the recommendations with market research data. As for performance evaluation of these two parties, the approach to assess them is different too. The success of a product manager is estimated via quantified data of product success metrics throughout its life cycle. However, a project manager’s performance is seen as the whole team’s performance. Gartner, a global research and advisory company, provides numerous concepts on how to estimate a project manager’s performance, covering operational excellence, effectiveness, and ability to work with human resources. Numerous listings include such metrics as percentages of projects on time, budget and rework, percentages of project scope changes, agreed-on standards, and many others. However, this approach can be helpful only when you assess the KPIs of a project manager, not the work of the whole team. In this case, the common metrics in Agile development reflect the situation more clearly for the client. Here they are. Velocity. One of the key metrics in Scrum, velocity reflects the amount of work done by one development team in one sprint. When talking about a project manager’s performance, velocity estimates their ability to allocate roles and tasks efficiently. Cycle time. This is an effective indicator to calculate the time required to complete a single task, both execution and rework. It reflects general performance, providing an opportunity to estimate the fulfillment of prospective tasks. As for the assessment of a project manager, this is a useful KPI to reveal their estimation skills. Cumulative flow. This metric shows the number of different types of tasks at each stage of the project. It explains how tasks are distributed throughout different development stages. Flow efficiency. Being a very valuable metric for Kanban development, it reveals the distribution between actual work and time gaps. Simply put, it reflects the actual work in progress, revealing time of work against waiting time. In the concept of project management, it helps estimate the efficiency of development progress streamlining. Pirate metrics. AAARRR or Awareness, Acquisition, Activation, Revenue, Retention, Referral is the set of “Pirate Metrics” that summarize a product manager’s impact that determines product success. This includes Monthly Recurring Revenue, Customer Satisfaction Score, Monthly Active Users, Bounce Rate, and more. Visit our article on product management metrics to learn how to calculate them. Net Promoter Score. These metrics reveal the percentage of loyal and satisfied users who are likely to promote the product and unlikely to ever leave it, and detractors, users who are likely to reject it. In a nutshell, it estimates the success of a product and a product manager. Traffic. This measurement reveals the total number of users that discovered and used the software product. In the context of performance estimation, the numbers help understand the efficiency of product marketing strategy. Each of these roles has a particular set of personality traits and professional skills that help them manage in the most efficient way. Communication skill. A successful manager is, first of all, an effective communicator. Whether running the development process or the entire product, both serve as spokesperson to other interested parties, expressing the opinion of their departments. Strong communication skills play a huge part in meeting the target at all production stages. Negotiation. Although negotiation proficiency is rooted in communication skills, it calls for discussion and agreement on mutually beneficial terms. 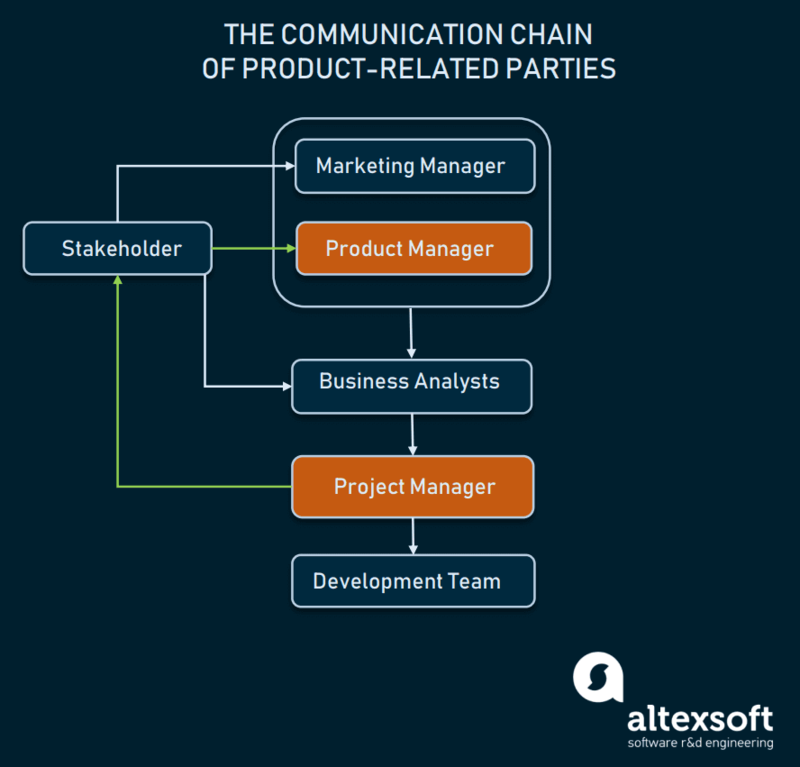 An ability to convey the message to the other party and find a compromise promotes fruitful cooperation with consequent acceleration of product success, an aspiration of both product manager and project manager. Problem-solving. Product issues may and will arise at any product stage despite efforts taken to prevent them. Any manager must be able to take the lead and address the problem quickly and efficiently. This skill is closely connected to risk assessment. So, the faster a manager comes to grips with a problem, the less devastating the effect on product development. Software development methods knowledge. As we mentioned earlier, increasingly more software development organizations are shifting to Agile. Awareness of all project management approaches, including waterfall, Bimodal, and Lean, is a critical point. After all, a project manager’s background in this issue shows their expertise. Certification. Although the best evidence of a project manager’s expertise is their experience, proper certification is still relevant. That is why the requirement for such certificates as PRINCE2, Project Management Professional, Certified Associate in Project Management, CompTIA Project+ certification, Certified ScrumMaster, or many others, is a reasonable one. Budgeting. A project manager with a solid budgeting skill will get the project funded and won’t allow the funds to overflow the cost baseline. They take the responsibility for checking if the project is moving along the plan and applying corrective actions when needed. Scheduling. Since projects have constantly moving blocks of tasks, it takes effort to manage them all, their due dates, and team availability. A project manager checks the project dashboard for deadlines, metrics, and resources to adjust the schedule and estimate accurately. Tech knowledge. To set correct technical milestones and allocate technical resources, a project manager should have a strong hold on IT architecture, which is why many project managers in IT come from engineering positions and have the experience of working on several projects. Relationship management. A project manager is an engineering team’s evangelist on the client side, so their critical skill is to handle the relationship inside and outside the team. Good relationship management promotes common understanding throughout the development process with a resulting acceleration in performance. Leadership. A project manager is not just a link between the engineering team and the stakeholder. They are the developer’s voice and spokesperson in communication with the client. A project manager promotes and defends team interest, bearing in mind a client’s concerns as well. Balancing between these two parties, a trained project manager leads their team to successful, on-time product delivery. Strategic approach and vision. A product manager has to see a full picture of the future product. When stakeholders are at the ideation stage, a product manager starts matching the consistency of steps to develop and promote the product. It’s not a blind selection of good practices. It’s an elaborate sequence of actions, which if properly made, will lead the product to success. Analyzing. Strong analytical skills are one of the basics for a product manager. To line up a clear sequence of actions, they should be able to interpret all data for its further processing. In their work, it’s not just a nice feature to have, it’s a critical skill to understand a cause-effect relationship for future performance improvements. Marketing knowledge. Creating a successful product entails doing market research. But facts and figures aren’t the key remedies. The basic purpose here is converting all of them into a tangible product, one that meets user needs, follows relevant market trends, and remains viable in the market for as long as possible. User research. Above market and business awareness, one of the major product manager’s areas of concern is user behavior. They should have a strong hold of usability principles, experience in conducting target audience research, and analyzing user behavior. Ability to evaluate product success. User acceptance of a product is often closely connected to their level of satisfaction. The ability to measure it properly has a marked impact on the product’s continued market presence. That’s why getting feedback from early users and using correctly chosen KPIs promotes product success. The clearer the indicators are, the more suitable product-market fit is. As we can see, though sometimes overlapping, these two roles are responsible for different aspects of software development. Big enterprises clearly distinguish the two positions, as it should be, but many smaller projects are run by one expert – and not always successfully. But here’s what you should know about it. Substitution of one role with another is a bad practice when your enterprise has a pronounced top-down hierarchy where every top manager has their own area of responsibilities. The main point here is that all strategy activities planned by a product manager can suffer from a project manager’s daily routines and urgent issues. You can combine these two scopes if your company or a prospective product is small, or if you run a startup and the areas of responsibilities are rather limited. Simply put, avoid spreading efforts on too many tasks, or none will be successfully completed. Be more targeted and precise in the steps taken to make the project happen.